We are making some very interesting revelations about super hit movies and their star casts. 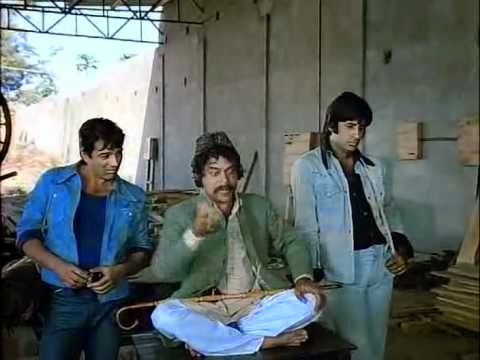 Can you imagine Sholay without Amitabh Bachchan or Anand without Rajesh Khanna? Could any actor but Sunil Dutt have done justice to the role of Birju in Mother India? Would Munnabhai have been as lovable played by someone other than Sanjay Dutt? Some facts about who was offered the movies first but later on some other actors and actresses got the movie who made them star. Hum Aapke Hain Kaun - one of the biggest blockbusters in history, was offered to Aamir who failed to identify with the character of Prem. He didn't find the script too appealing either. Sooraj Barjatya's then decided to take Salman Khan for the lead role. Sholay - Amitabh Bachchan was not the first choice for the role of Jai in Sholay. Ramesh Sippy initially wanted to cast Shatrughan Sinha in the role which Big B eventually grabbed after convincing Dharmendra to put in a good word for him which he did, much to the chagrin of Shatrughan Sinha. Silsila - Yash Chopra originally signed Parveen Babi and Smita Patil for Silsila. He then told Amitabh Bachchan that he ideally wanted Rekha and Jaya Bachchan to play the roles. Amitabh Bachchan gave him his blessing, Yash Chopra approached the two actresses - reportedly real-life love rivals - to play screen rivals, they agreed and Silsila became the most famous casting coup in the history of Bollywood. Parveen Babi reportedly took the news of being replaced quite well but Smita Patil was upset. According to some reports, Kareena’s role in 3 Idiots was first offered to Kajol. Now whether she turned it down or was only in contention, the role was finally lapped up by Kareena. Rang De Basanti - Rakeysh Omprakash Mehra's impossible wish-list for the three heroes of Rang De Basanti was Aamir Khan, Shah Rukh Khan and Hrithik Roshan! He had to settle for just Aamir. Karan Arjun - Salman Khan got the hit role in Karan Arjun only because Ajay Devgn walked out of the film because of creative differences with filmmaker Rakesh Roshan. Baazigar - Shah Rukh Khan's role in Baazigar was first offered to Akshay Kumar, Arbaaz Khan, Salman Khan and Anil Kapoor, all of who refused to play an anti-hero. Sholay - Amjad Khan almost didn't get to play dacoit and ganglord Gabbar Singh, the role that catapulted him to instant stardom. Actor Danny Denzongpa was the first choice but had to decline because he was shooting Feroz Khan's Dharmatma in Afghanistan. Amjad Khan was a reluctant second choice because scriptwriter Javed Akhtar thought his voice was too weak to allow him to convincingly play a villain. 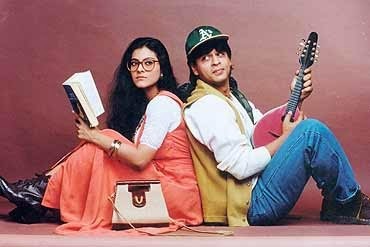 Dilwale Dulhaniya Le Jayenge - It's impossible to imagine DDLJ without SRK. The longest running films in Bollywood, was first offered to the Saif ali Khan, who turned it down for reasons best known to him. Darr - The reject of yet another Khan, this time Aamir, once again became the stepping stone to success for SRK. The actor bagged the role of a psychotic lover after Aamir turned it down as he was not happy with how the role had developed. Zanjeer - Amitabh Bachchan was the fifth choice for the role of Inspector Vijay Srivastav in his breakthrough movie Zanjeer. The relatively unknown actor was not even on director Prakash Mehra's radar who wanted to cast Raaj Kumar. Raaj Kumar declined because he disliked the smell of Mr Mehra's preferred brand of hair oil. Dharmendra was then offered the role but had no dates to give. Dev Anand was approached but dropped because he wanted sing his own songs. Rajesh Khanna was asked but didn't want to play against his romantic hero type. Prakash Mehra was in despair when Pran, who had been cast as Sher Khan, suggested he watch the just-released Bombay To Goa and check out a new actor called Amitabh Bachchan. The rest, as they say, is history. Swades - Soon after the historic success of Lagaan, Ashutosh Gowariker wrote the Swades script with Aamir in mind. The actor didn’t like the script. Ashutosh then approached Hrithik Roshan, who rejected it too. A disappointed Gowariker then went to Shahrukh Khan, who loved the script and signed the film! While Swades didn’t work at the box office, it’s widely considered to be one of the best films of SRK’s career. He also won the Filmfare Best Actor award for his performance. Sangam - Rajendra Kumar almost lost Sangam to Dilip Kumar who was reportedly Raj Kapoor's first choice for his story of two friends in love with the same girl. However Dilip Kumar eventually declined the role since he was not convinced about the climax and didn't want the character of Gopal to sacrifice his life. Raj Kapoor then approached Dev Anand for the role, but he declined citing date problems and the role fell into Rajendra Kumar's lap. 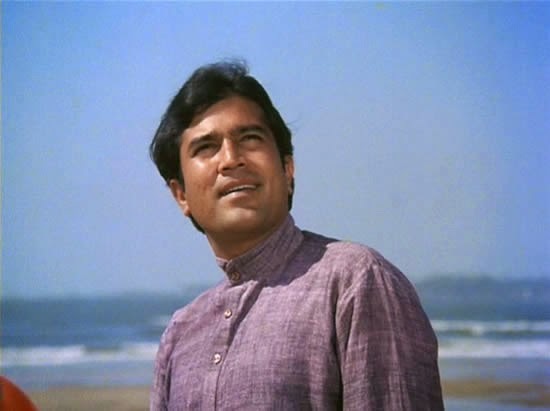 Anand - Rajesh Khanna got the role of his lifetime with Anand but that wouldn't have been possible had Raj Kapoor or Shashi Kapoor accepted the offer Hrishikesh Mukherjee originally made to them. Hrishikesh Mukherjee was a close friend of Raj Kapoor's and developed Anand when he became haunted by the thought of his friend's death after Raj Kapoor fell seriously ill. However, Mr Mukherjee decided he couldn't bear to see his friend die on-screen and offered the role to Raj's brother Shashi instead. Shashi Kapoor didn't want the role. Hrishikesh Mukherjee also considered Bengali star Uttam Kumar and singer-actor Kishore Kumar before he finally cast Rajesh Khanna.